Alerion Aviation promises a dedicated and personal approach to private jet travel and aircraft management. Enjoy a level of personal service and attention to detail that goes beyond your highest expectations. This is the Alerion Aviation advantage. Our private jet charter services offer comfort, control, and flexibility, ensuring that your jet charter experience will be second to none. Most importantly, Alerion is a nationally recognized leader in safety and operational standards, and you can trust that your safety is always our top priority. Are you looking for an aircraft management provider? Alerion will manage your investment, and make sure your aircraft is ready, whenever you are. Experience the Alerion advantage today, and speak with our dedicated consultants to find which private jet service options is right for you. Alerion's private jet charters deliver the finest in private aviation. Charter smarter with our unremitting attention to detail and industry leading safety standards. Contact our jet service brokers to craft a route and charter experience that is delicately crafted for the ideal travel experience. Please enter your trip details and we will respond with a quotation for an airplane meeting your mission requirements. 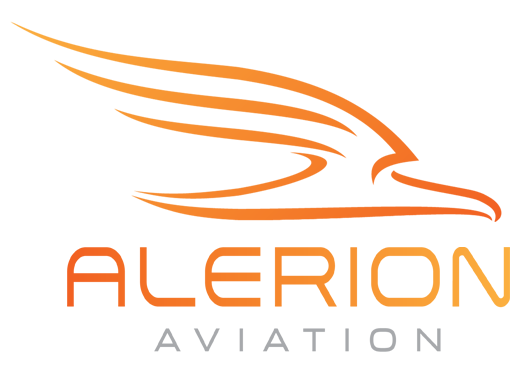 Alerion’s charter consultants are available 24 hours a day, 365 days a year, to facilitate every aspect of your travel plans. We understand the importance of details and anticipate your every need wherever in the world you may travel to. Our seasoned team will arrange every aspect of your trip, including in-flight dining and entertainment, as well as ground transportation. We maximize your return on investment, handling every detail of managing and maintaining your aircraft so all that’s left is to enjoy it. 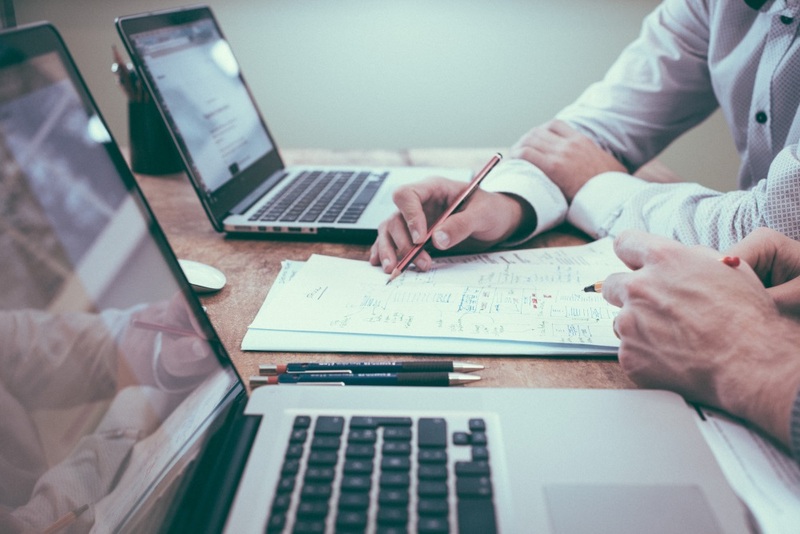 Whether you seek to earn revenue by chartering your plane during unused periods or seek professional management of your asset, Alerion has the knowledge and experience required to guide you through this endeavor. Let us help you create your personal sky. With facilities in the top three private jet markets, our unremitting attention to detail and the industry’s highest ratings for quality and safety, Alerion is a clear leader among private aviation companies. Alerion is a nationally recognized leader in operational safety and one of only a handful of elite companies who meet the highest standards with ARG/US Platinum ratings, Wyvern Wingman and IS-BAO Stage 3. We exceed all industry audit standards, but more importantly, we exceed owner expectations for consistently safe flight. 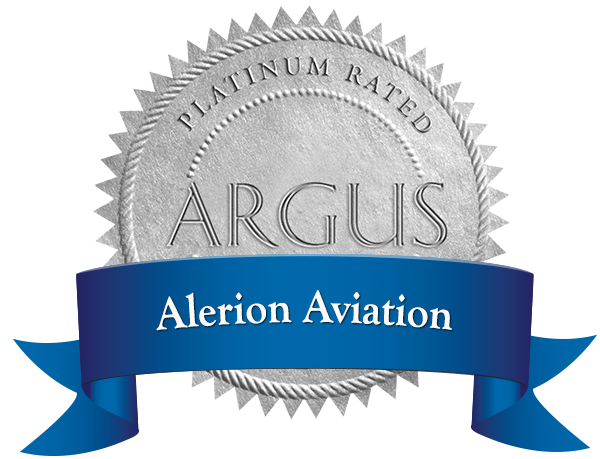 Alerion Aviation is one of less than 100 Air Carrier Operations worldwide to receive the ARG/US Platinum rating, having completed a stringent on-site audit by the same teams that audit the world’s airlines under EASA standards. Alerion Aviation is one of fewer than 20 Charter Operators in the US to have achieved IS-BAO Stage 3 standard. 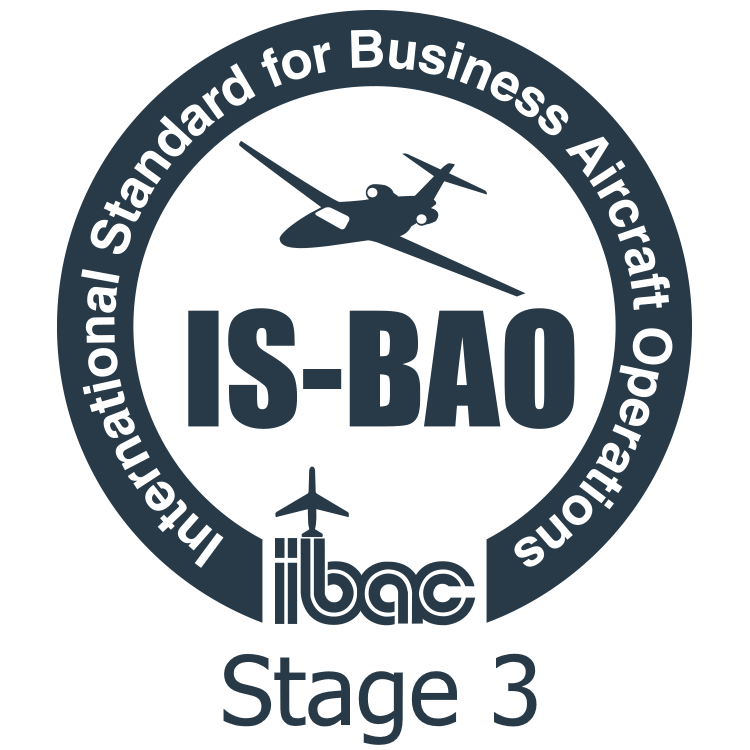 IS-BAO is the recognized worldwide business aviation code of practice, modeled on the IS-9000 family of standards. It requires the development of programs, systems, processes and procedures to meet the highest safety, security standards and practices for the operation of aircraft applicable to business aviation. Alerion Aviation is a Wyvern registered operator. Alerion's Wyvern registration allows our customers to verify regulatory certifications, fleet data, crew qualifications and insurance information via an independent source. Alerion Aviation is member of the Air Charter Safety Foundation. Alerion's membership is a testament to our dedication to safety in all aspects of our operation. 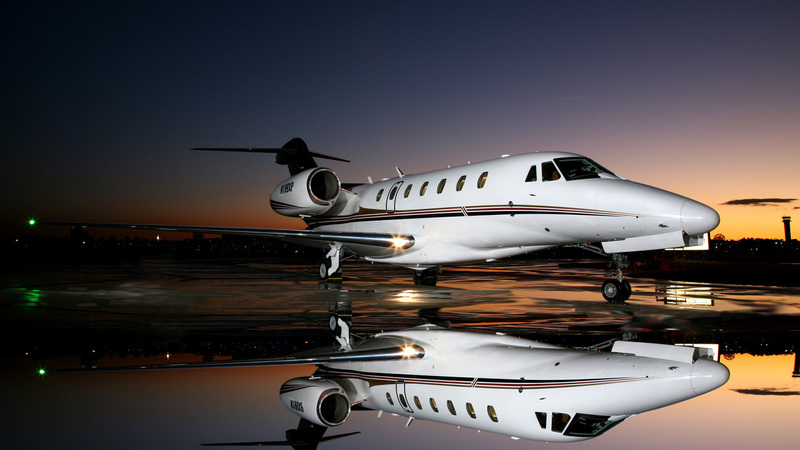 Alerion Aviation operates Large, Super-midsize, and Midsize Jets based in the top private jet markets in the US. Our aircraft feature beautiful, luxurious interiors. Most come with complimentary WIFI Internet. Whether you need a short flight to the next city or an extended international tour, with our extensive fleet we are able to offer the right aircraft for your travel needs.